The New York Central's West Shore Yard dated back to the days when the New York, West Shore & Buffalo was constructed to parallel the Central all the way from Weehawken (across the Hudson River from New York) to Buffalo, often within direct sight. The intention, of course, was to in effect blackmail the Central into purchasing the interloper at an inflated price, which ultimately happened. By 1970 much of the West Shore had been abandoned (although the line up the west bank of the Hudson is today the main CSX freight artery north from the New York area). 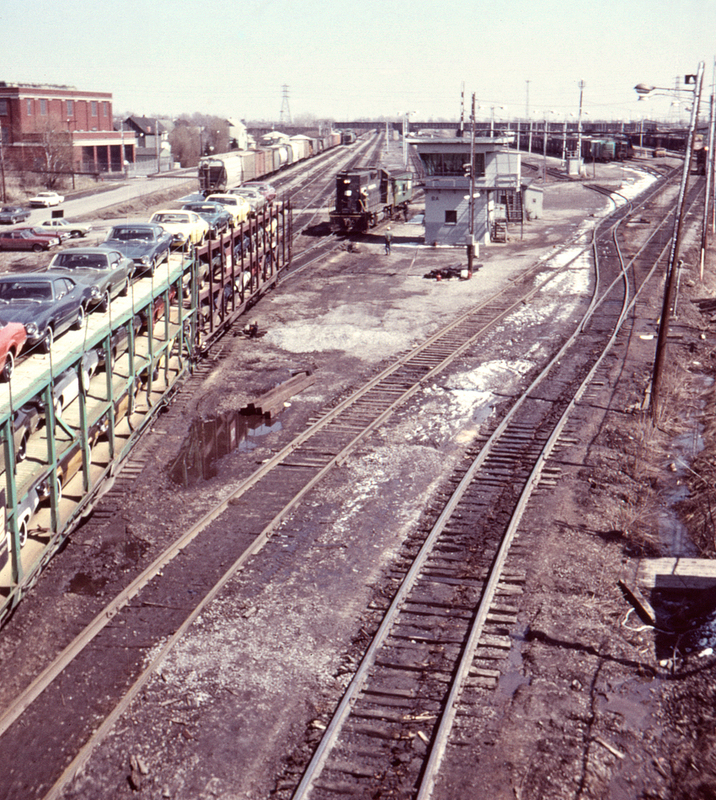 The West Shore Yard in Buffalo, however, became a valuable part of the road's classification infrastructure in the city, as seen in this view from the Bailey Street bridge looking east.